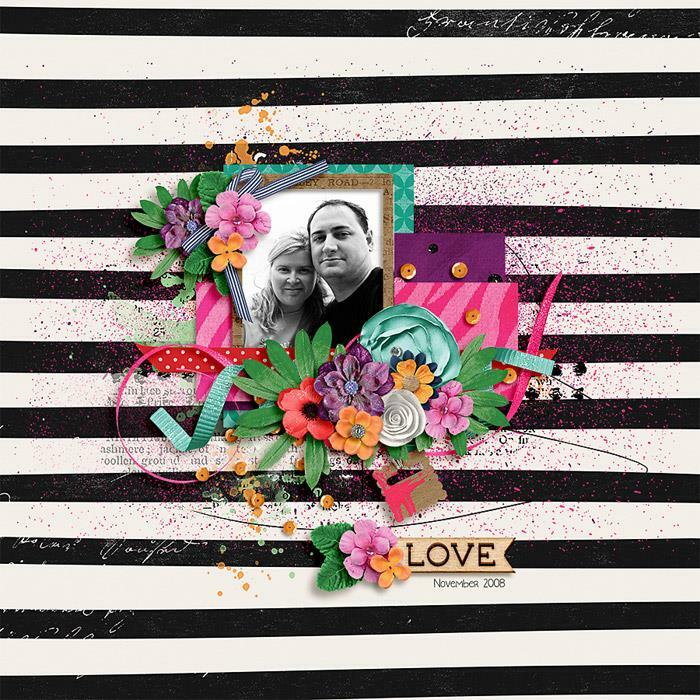 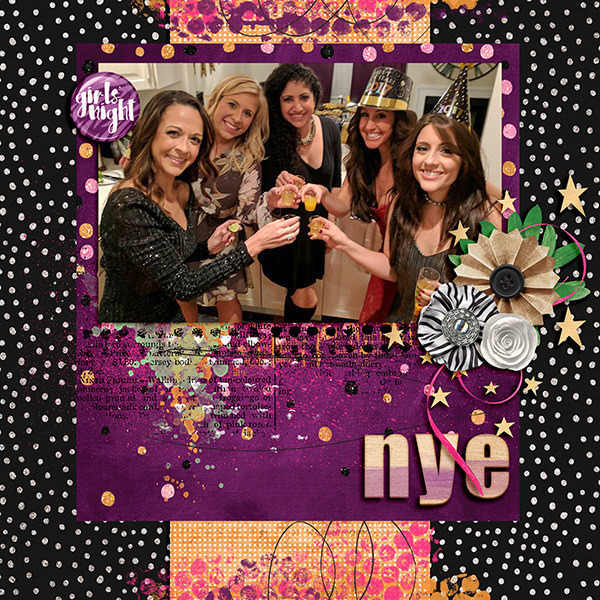 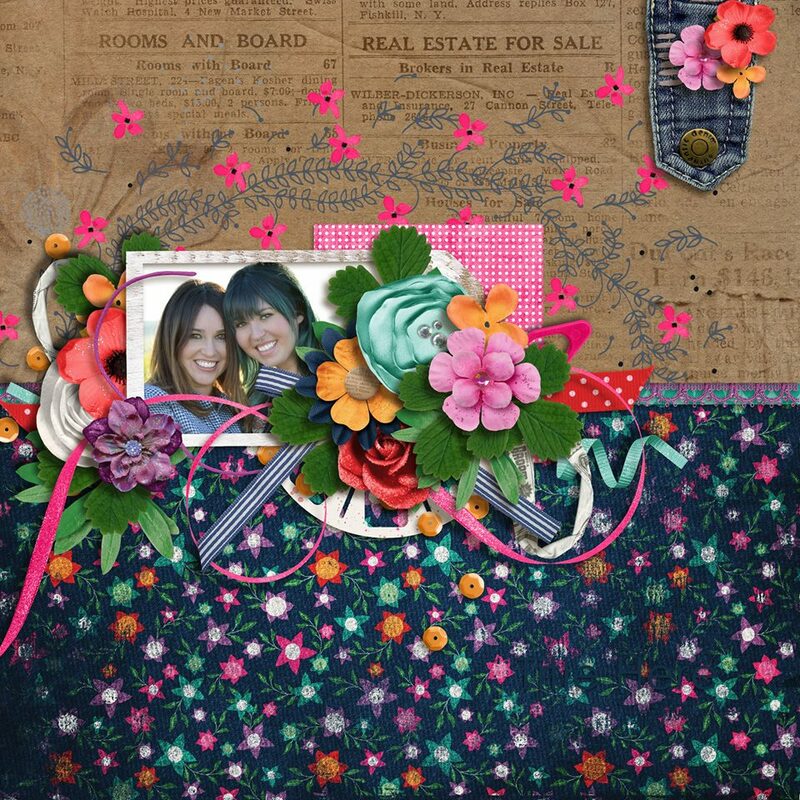 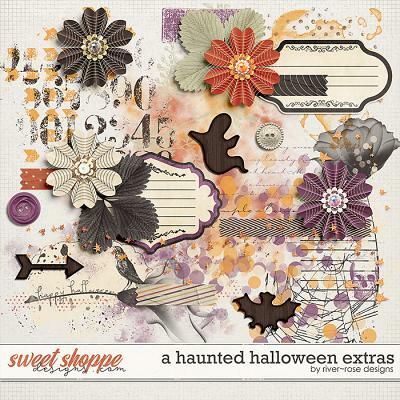 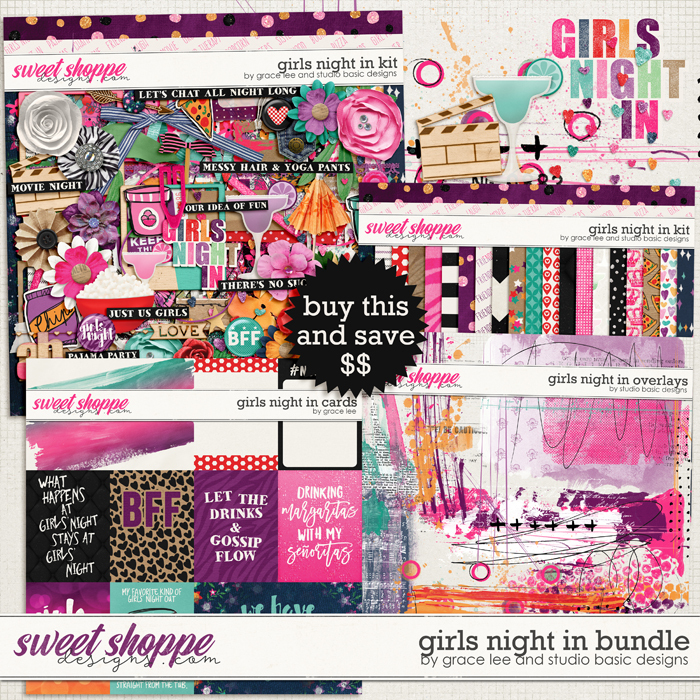 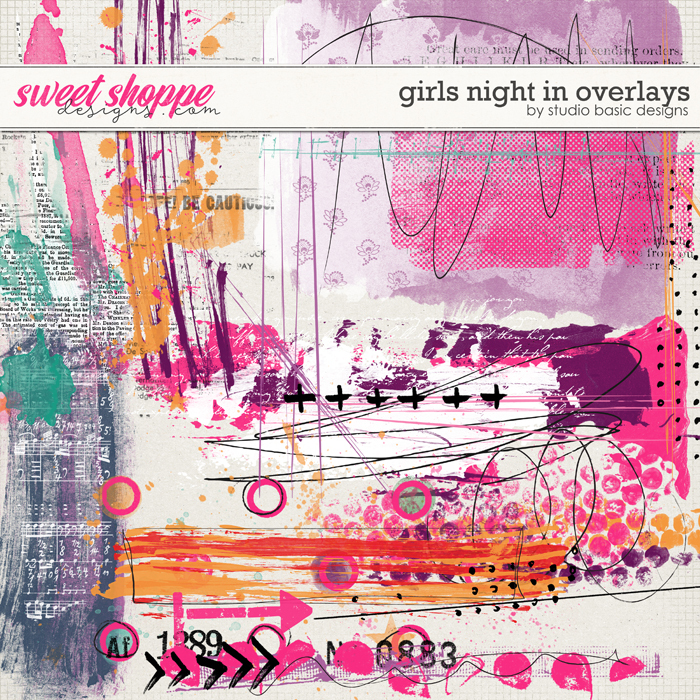 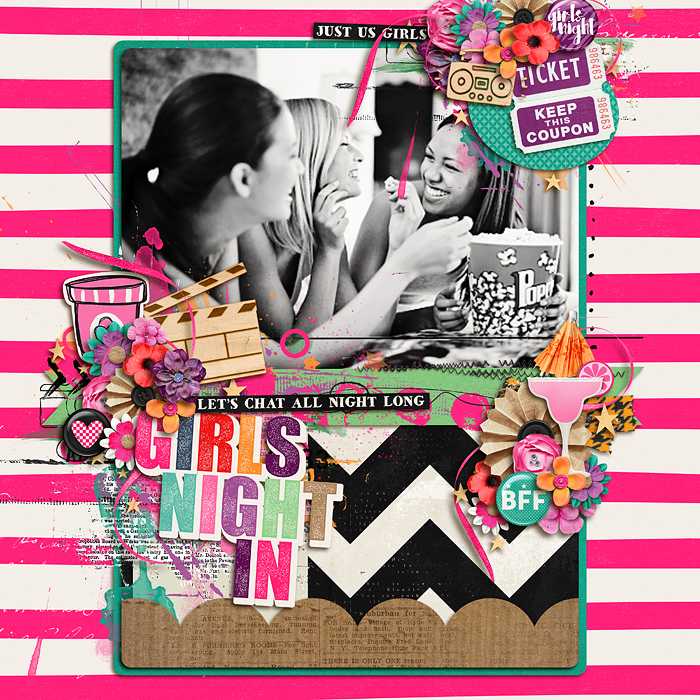 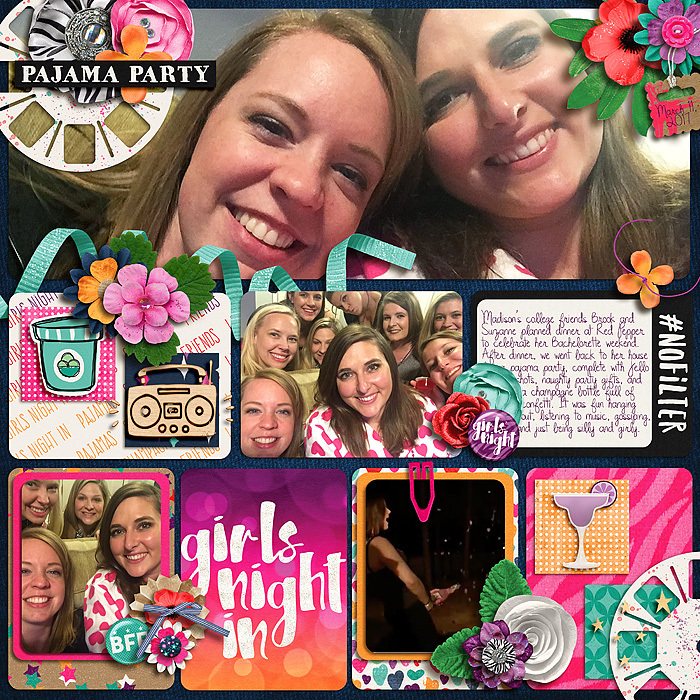 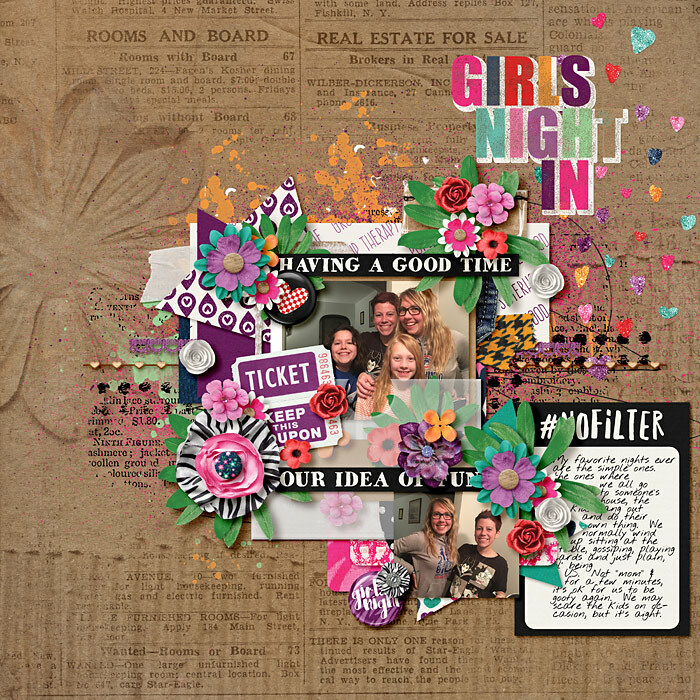 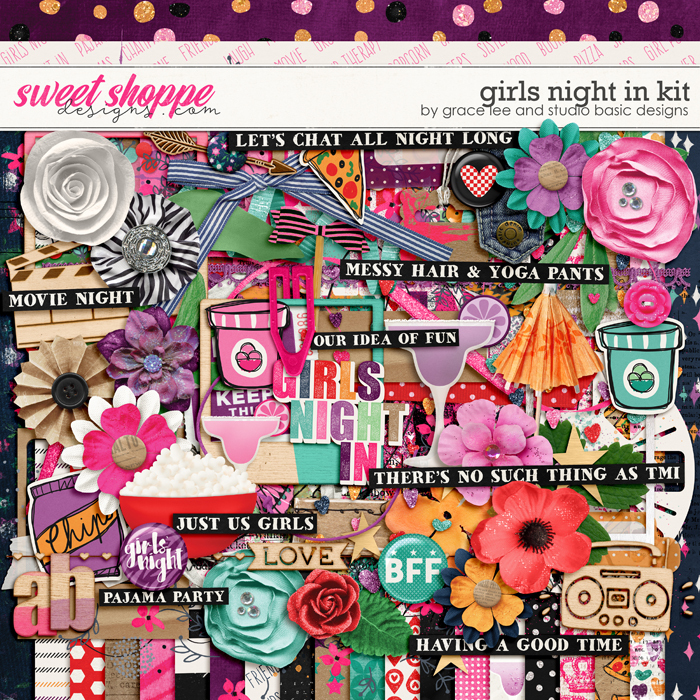 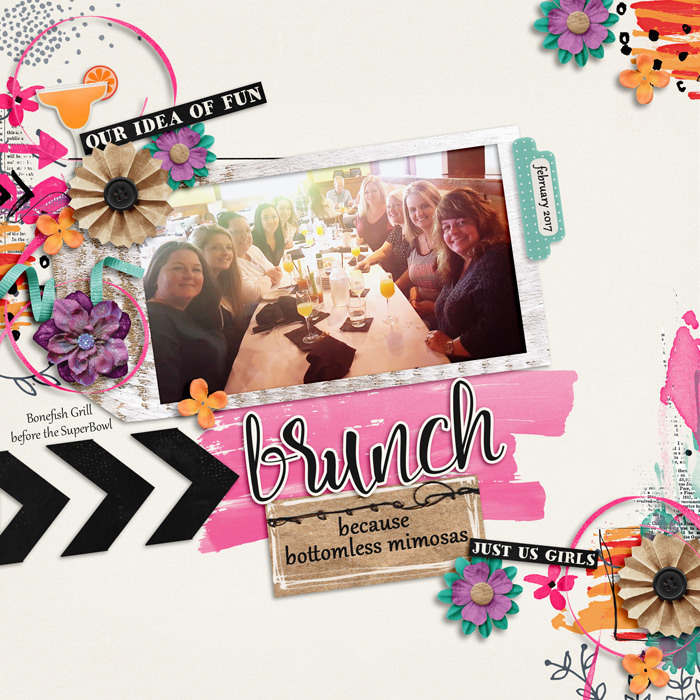 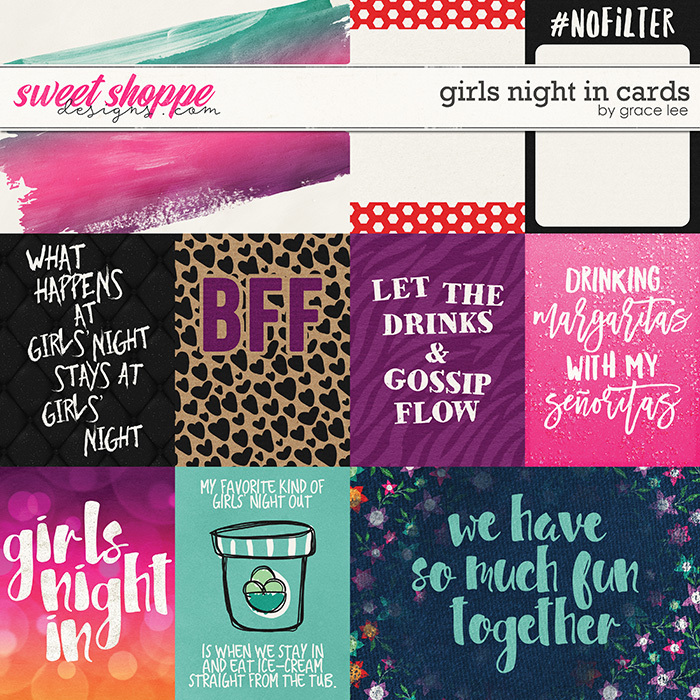 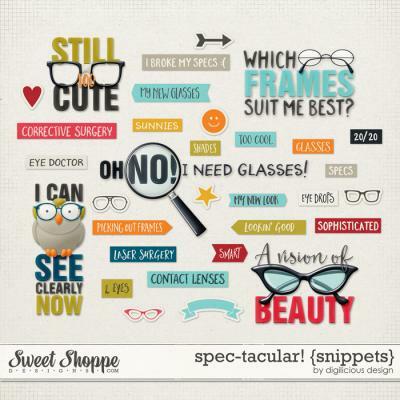 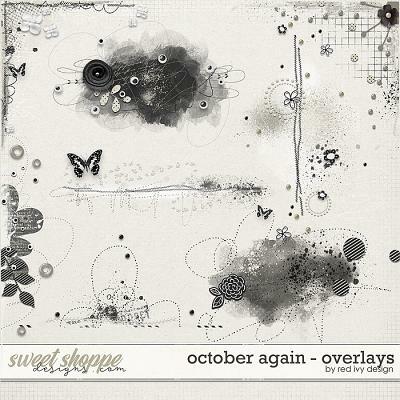 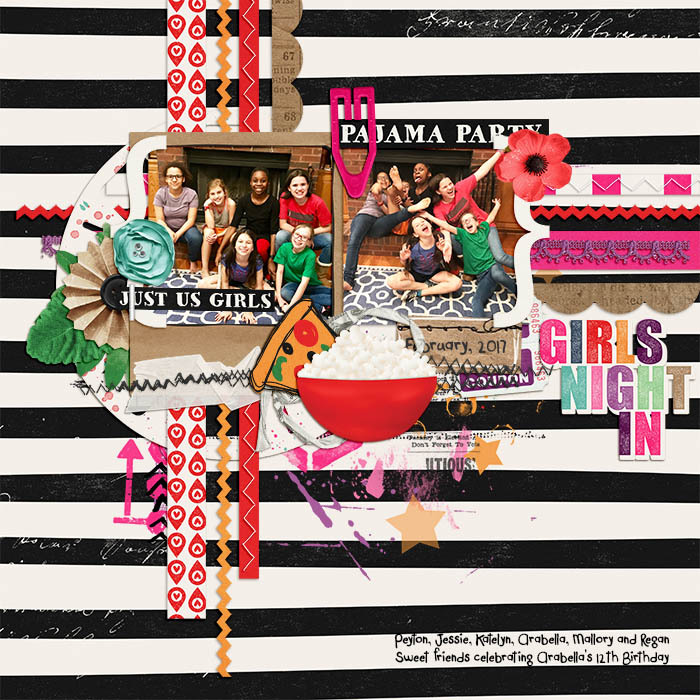 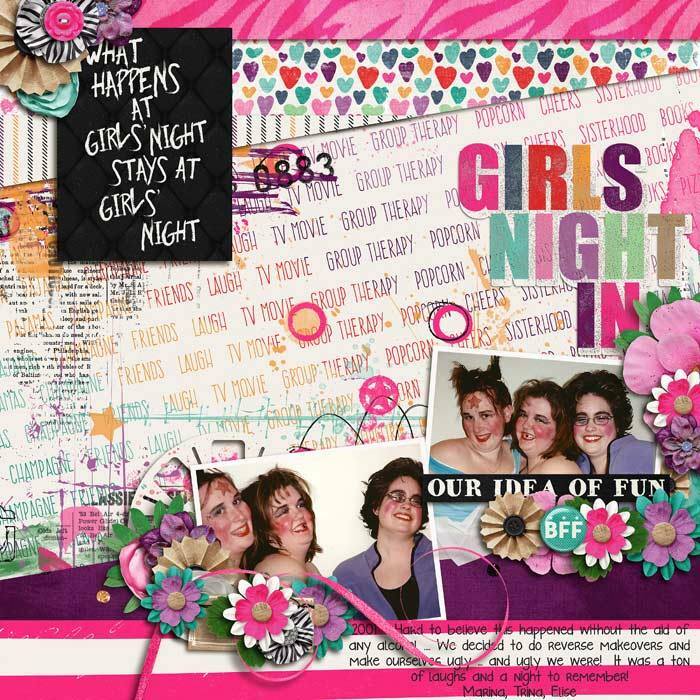 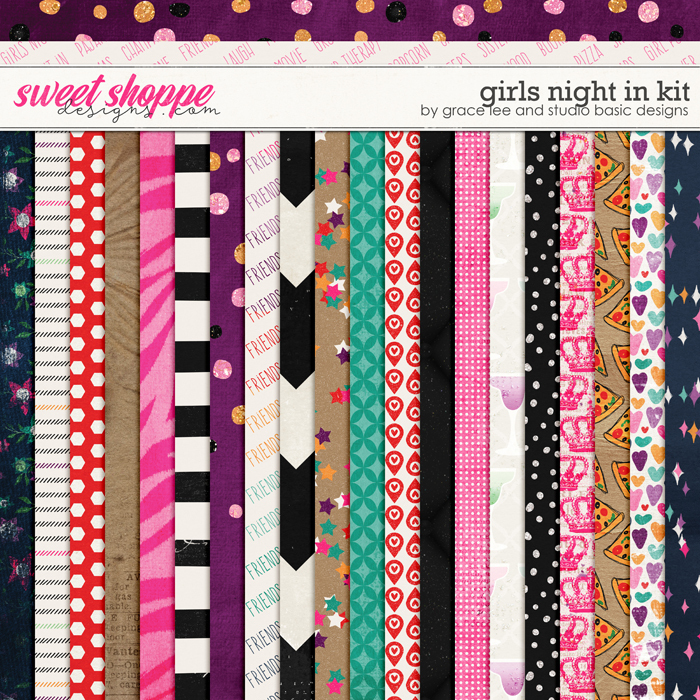 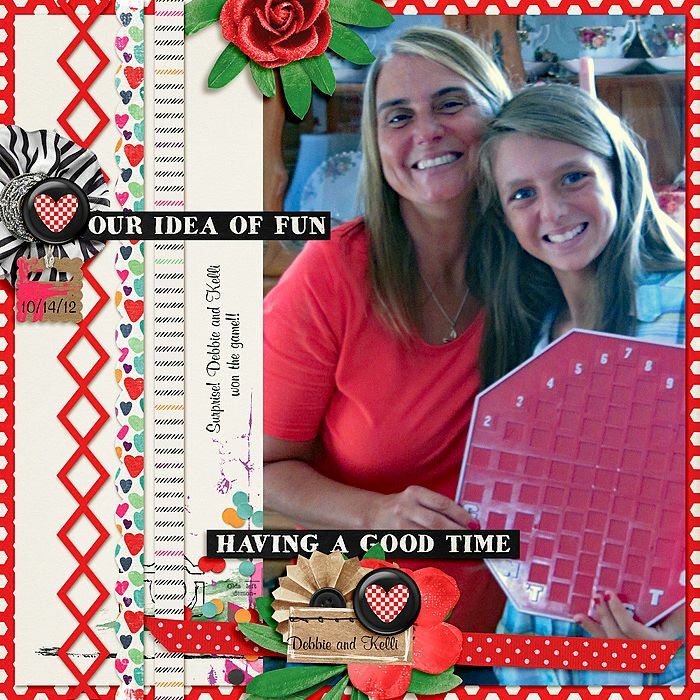 A digital scrapbooking collection by Grace Lee and Studio Basic, Girl’s Night In is all about fun with girlfriends. 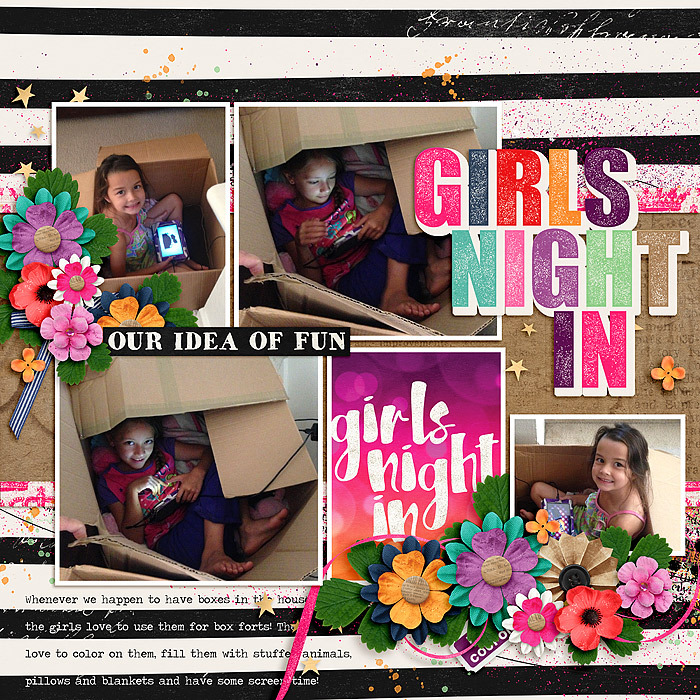 Hanging out with our friends is worth documenting at any age. 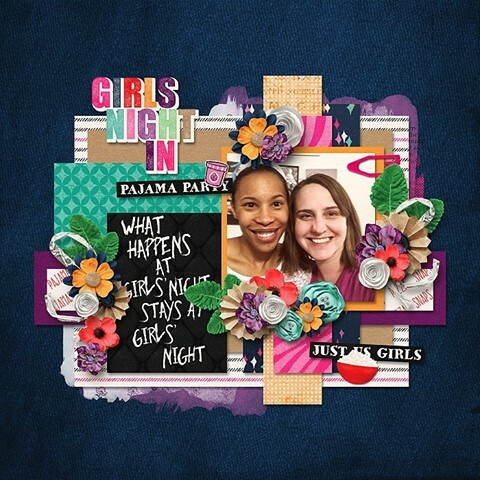 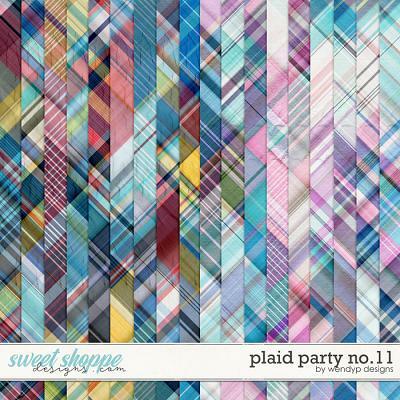 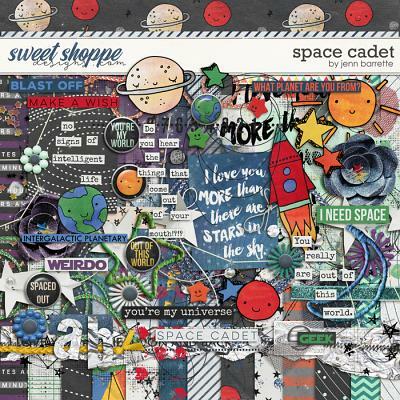 The bright playful colors will help pull together scrapbook pages from a girl’s first pajama party to a grown-up happy hour. 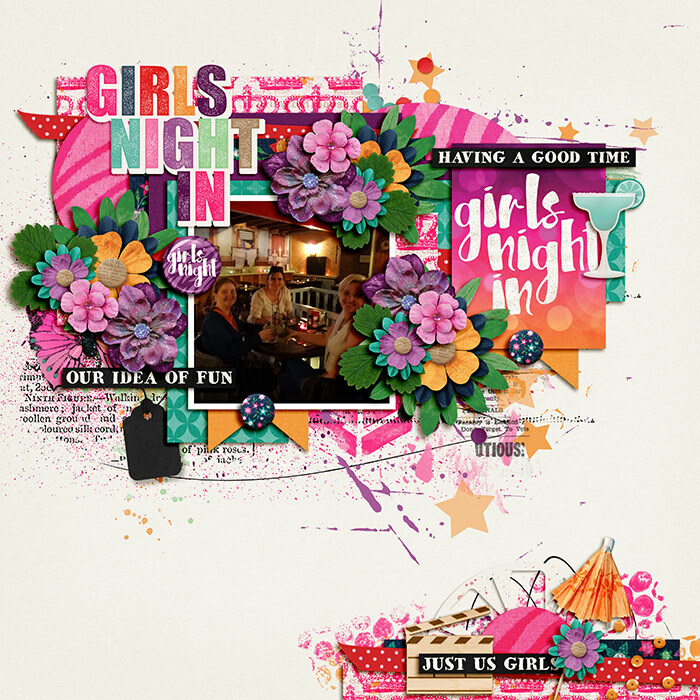 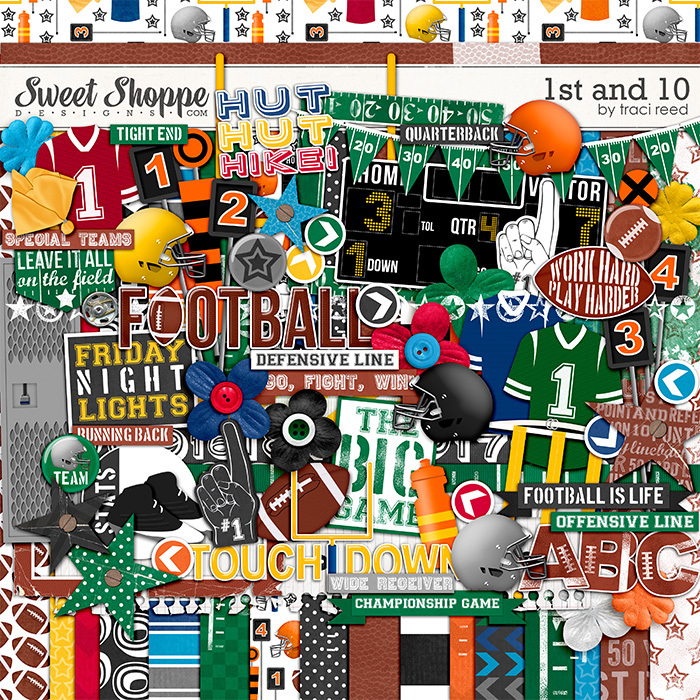 You will find so many uses for this perfectly themed kit!